If you’re not familiar with the double cleansing trend, it is a technique recently popularized by Korean beauty bloggers. It’s pretty much exactly what it sounds like; you wash your skin in the evening not just once, but twice. The first part of the process is to use a cleansing oil or balm (oil-based cleanser) to break down makeup. Then, follow that with a water-based cleanser such as a foam or gel to deep clean the pores. Fans of this method really love it. 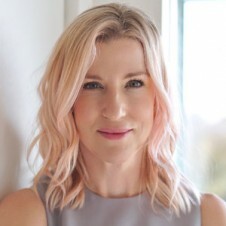 While I do believe that heavy makeup and water-resistant sunscreen wearers could benefit from cleansing twice, I don’t agree with the type of product (a balm or an oil) being used as the first step. Here’s why. For starters, the whole purpose of properly cleansing your skin at night is to remove makeup, dirt, bacteria, and debris from the skin. 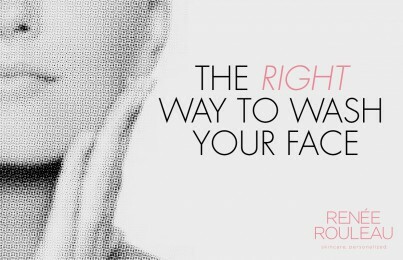 (Did you know that your face is the dirtiest place on your body? Yes. You touch your face all day and transfer bacteria directly onto the skin.) In the evening since you’re no longer being exposed to the sun’s harmful rays, it’s imperative that you feed your skin with ingredients that encourage repair. 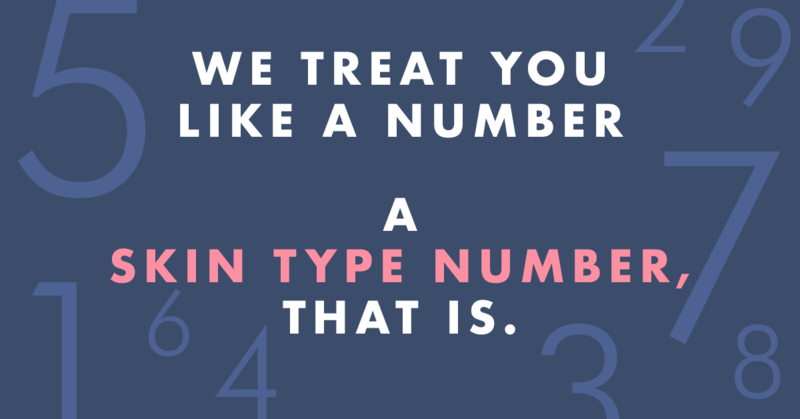 Hello, retinol, peptides, and antioxidants! This creates an environment within the skin that promotes optimum beauty sleep. In order to achieve this, you want an impeccably clean canvas. 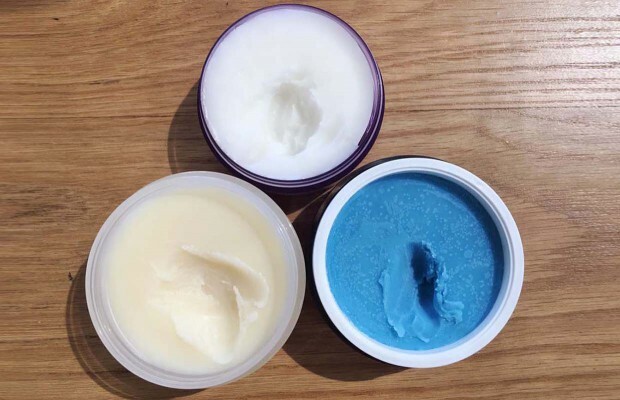 When you first cleanse your skin with an oil or a balm (shown in the above photo), it leaves behind a residue even if you rinse and wipe it off really well. When you follow with a water-based cleanser, it can cut a bit of the oil but there may still be a coating left on the skin. This could prevent the active ingredients from your nighttime serums from getting as deep into the skin to perform their best. Balms and cleansing oils have large molecules while serums have smaller molecules. You don’t want a tiny molecule on top of a giant one. This would prevent the smaller molecule from penetrating through. 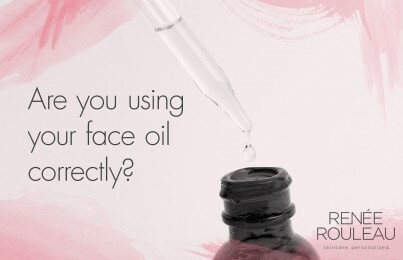 Read why you might be using your facial oil all wrong. Overall, I believe a more efficient way of cleansing to properly remove makeup is to use a lightweight, water-soluble, cleansing lotion with emulsifiers applied directly to dry skin (not damp skin) and massaged in circular motions for 30 seconds. By massaging it onto dry skin first, the emulsifiers in the cleanser more actively break down the oils/silicones in makeup. Next, wet your fingertips, massage through again on the face and then rinse well with lukewarm water. Most importantly, wipe the face with facial sponges or a gentle baby washcloth to lift off makeup. You should see the makeup being transferred onto the cloth or sponge; this lets you know that it’s coming off properly. After the first cleansing, you can use a foaming or gel cleanser, particularly if you’re an oily, acne-prone skin type and experiencing some breakouts. However, a cleansing lotion alone should be adequate for normal to dry skin types. If you weren’t very thorough in your cleansing, following with a toner will capture any leftover makeup residue. Even if you’re not wearing makeup, using a lotion-based cleanser is beneficial for those wearing water-resistant sunscreens. A second cleanse with a sulfate-free, non-drying gel cleanser could be helpful to ensure proper removal, since sunscreens have a reputation of clogging the pores. Read how to prevent breakouts from wearing sunscreen. The key to proper cleansing is to be thorough with your technique. Use something that is lightweight and doesn’t leave a residue, and avoid using anything that leaves your skin feeling dry. (Avoid sulfates in your cleansers!) It’s also very important that you apply your next product within 60 seconds. This will prevent moisture evaporation from the skin which can deplete hydration levels. Use a toner next, then a serum, then finally a moisturizer. Hope this provides some helpful insight into the most beneficial way to clean your skin. Oh, and by the way. I’m definitely NOT a fan of cleansing wipes. Here’s why. Which skin care products are best for you? See our nine skin types or take the Skin Type Quiz and see recommended products.